Fred Banks, a former Justice of the Mississippi Supreme Court, trial judge and legislator, practices in the areas of appellate litigation, commercial litigation, and alternate dispute resolution in the state and federal courts of Mississippi. 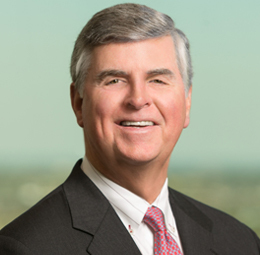 He has represented corporate clients in a variety of matters including consumer lending, trade secret infringement, property taxation, first amendment issues and contract disputes. After serving on the state supreme court for 11 years and before that, six years as a circuit court judge, Mr. Banks joined Phelps as a partner in November 2001. Prior to his judicial career, beginning in 1968, Mr. Banks was in private practice. 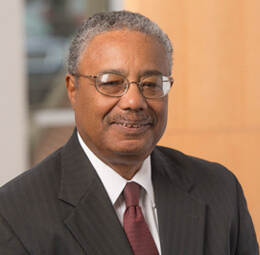 He concentrated on civil rights litigation, criminal capital defense and representing a variety of non-profit agencies providing services to the poor. In 1975, he was elected to the Mississippi House of Representatives where he served until he assumed the bench in 1984. In the Mississippi House, Mr. Banks served as chair of the House Ethics Committee, chair of a House Judiciary Committee and Chair of the Mississippi Legislative Black Caucus. He was also appointed by the governor to serve on the Mississippi Board of Bar Admissions and by numerous appointing authorities to serve on a variety of commissions at the state and federal level.